TASK AT HAND: This week I’m thinking about “quantity” and the tangible aspects of strategy. A few weeks ago we discussed the intangibles of decision making and I thank you for the enthusiastic response. Today, contrasting with the quality or intangibles of a decision, you can think of tangibles as decision making items that have inherently associated metrics – a quantity that we can explore to make better decisions. In medicine, when eliciting the history of an illness from a patient, the quantity is many times simply a number: how bad is your pain? 0 is no pain and 10 is the most pain you can imagine – what is your pain? 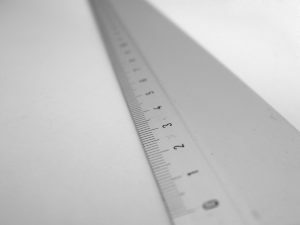 This simple metric has massive impact and aids your diagnostic workflow significantly. In strategy, think of this quantity as tangible aspects of decision making that can be measured. When teaching, I often refer to these tangible metrics as the quantity relevant to my strategy. For example, you may purchase a car for intangible qualities like how it makes you feel or your first memory of that model. On the other hand, quantity or tangibles metrics would include items like horsepower, fuel economy, braking distance, etc. 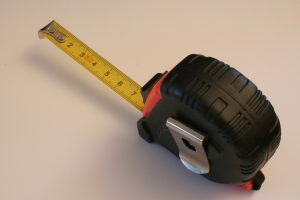 One can quickly appreciate that these metrics can get very extensive so I have created 3 B’s – basic components for ease of applicability to any decision. 1. 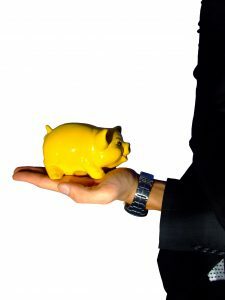 Bank: this is your budget and contains all aspects of funding critical to your decision. How much in your bank? 2. Bread: raw materials, intellectual capital, workforce, customer base. This describes the resource metrics relevant to your decision. How much bread do you have? 3. Brawn: This is the amount of effort you have to put into a decision; 0 is no effort and no action desired while 10 is an all-consuming action. How much effort are you willing to put into a strategy? In my opinion, you need 2 of these 3 to be positive for you to have a beneficial quantity component to your strategy. The power of this simple approach is that it can be applied to any scenario. For example, let us suppose you are considering moving to a new city. Palo Alto is a very innovative part of the country, but it is also very expensive. If your bank is low (small budget), you don’t have much bread (unsecured job or resources), but your brawn is high (highly motivated to move there), this is still not the best decision from a tangible metric point of view. Let’s do another: your single site business is thinking of expanding to another state. Your bank is good (selling well enough to support another site), your bread is positive (growing customer base, physical space to accommodate a second location is doable), but your effort is low (2 out 10 because you really don’t want to deal with expansion). Based on quantity, this would be a positive decision to make so you should carefully consider it. MEDICINE & MACULA: As the Max Planck quote shows above, metrics and science are intrinsically link, but, as a scientist, a major task is to ask difficult questions. A recently published commentary refreshes the importance of learning from failed experiments – and the importance of trying again. To effectively achieve this, the author concludes that communicating your struggles to others, asking for help, and accepting it when it is offered allows you to foster the needed resilience to cope with fear of failure and find your success. The study was published July 29 in the journal Science. Check out the study here. GRATIS: Thank you Retinal Physician for showcasing my new technique on Surgical Maneuvers Tip of the Month! 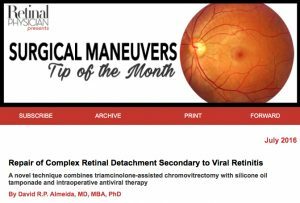 In it, I describe the repair of complex retinal detachments secondary to viral retinitis. 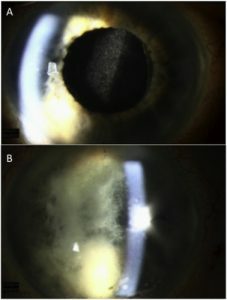 This novel technique combines triamcinolone-assisted chromovitrectomy with silicone oil tamponade and intraoperative antiviral therapy with foscarnet. Check out the article here. TASK AT HAND: This week I’m thinking about passion and what it means to live days immersed in the strength of barely controllable emotion. 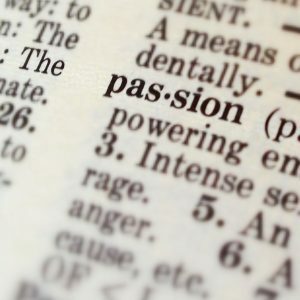 Passion, as a source of energy, can be oppressed by the many tasks and distractions endlessly intruding into our lives. However, I have found that, being reacquainted with your passion is a revitalizing elixir of energy, focus and determination that cannot be neglected. Consequently, I have found three strategies to ensure that passion is a tenet not lost or neglected. Passion in decision-making. When formulating decisions and employing strategies in your business or professional life, don’t neglect to acquaint yourself with your drives and desires. Some aspects are best decided dispassionately; but, similar to what we talked about last week with intangibles, core fundaments require a degree of enthusiasm, self-expression, and identity to fulfill the full potential of the decision in question. “Passion to a person is what gas is to a car. Without it, you won’t go anywhere!” (Alex Haditaghi; Softly, As I Leave Her). Many times, amongst decision options without major distinction, choosing the one best aligned with your passion will provide opportunities not previously foreseen. Passion in your personal relationships. A personal relationship without some element of passion is mere acquaintance. Strive to consistently surround yourself with people who stoke the fires of vitality: those that challenge you, those that ask you to grow, and those that allow you to change. It reminds me of an Avett Brothers lyric: “I wanna have friends that I can trust, that love me for the man I’ve become not the man I was” (The Perfect Space). Passion in your daily life. Finally, irrespective of your professional and personal endeavors, please commit to one act that you are passionate about each day. This need not be for more than a few minutes – but stay connected to that drive daily. Don’t lose this connection because, this connection, is very much a defining part of who you are. When you look back – if you must – recall a life lived with passion! Days filled with this barely controllable emotion that allows you to create and touch the lives of others in fantastical and wonderful ways. Find passion and “Let us live so that when we come to die even the undertaker will be sorry” (Mark Twain). MEDICINE & MACULA: Interesting study in PNAS that, after reviewing 9 studies and 2100 participants, found a consistent reduction in the clarity of people’s memory of their past unethical actions. 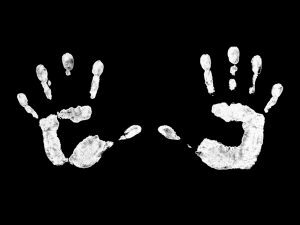 The communication finds that people who acted unethically are the least likely to remember the details of their actions. 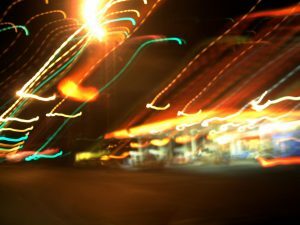 That is, people experience “unethical amnesia”: unethical actions tend to be forgotten and, when remembered, memories of unethical behavior become less vivid over time than memories of other types of behaviors. Because of unethical amnesia, people are more likely to act dishonestly repeatedly over time. This important publication advances the science of dishonesty, memory, and decision making. TASK AT HAND: This week I’m thinking about the intangibles of strategy. We are well versed in the tangible data of decision making: spreadsheets, SWOT analyses, and projections. But today, let’s look at the intangibles – those aspects that are sometimes neglected when we devise a strategic plan . Let me divert for a couple of sentences… In medicine, one of the ways we can describe a patient complaint is in terms of “quality”: how does it make them feel? Similarly, I adopt this same descriptor to strategy and have arrived at three distinct aspects of the quality, or intangibles, of a decision or strategy: satisfaction, opportunity lost, and identity. Opportunity Lost. 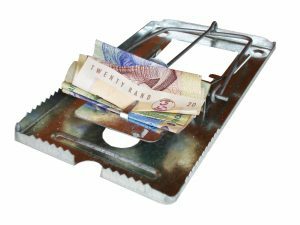 Most are familiar with the microeconomic concept of opportunity cost: the value of the best alternative forgone where, given limited resources, a choice needs to be made between several mutually exclusive alternatives (Investopedia). Assuming the best choice is made, it is the “cost” incurred by not enjoying the benefit that would have been had by taking the second best available choice. The latter can sometimes become arcane, esoteric, and neglected in strategy. I frequently use the term opportunity lost to highlight the fact that, in making a certain decision, what have you given up in turn? This is not simply the best alternative foregone, but all other options lost. In my opinion, this drives home the professional, personal and intangible consequences of the decisions I make. Identity. This one is simple. The best decision available, if it does not identify with who you are, with what message your business is trying to convey, or leaves you with doubt about ethics, is a decision that is not congruent with your identity. Be careful with these! Decisions without respect for identity risk entering a path without direction. Actions without regard will leave you in an abyss; this void expands without reflection and consideration. As you continue to improve your personal and professional strategy, remember the power of intangibles to transform good decisions into great ones! Satisfaction, opportunity lost and identity are integral components to the quality of the decision you make. MEDICINE & MACULA: Interesting study found that excessive stress can cause memory problems in women who had survived breast cancer. This study examined 1,800 breast cancer survivors and found that those with a greater level of physical activity had higher levels of self-confidence and less stress, and as a result fewer perceived memory problems. If you didn’t know already, it seems the benefits of exercising regularly are practically limitless! The study was published July 8 in the journal Psycho-Oncology. Check out the study here. GRATIS: Check out our new paper: Bimanual pars plana vitrectomy for removal of a dislocated DSAEK graft from the vitreous cavity published in Retinal Cases & Brief Reports. We describe a new technique for removing dislocated grafts. TASK AT HAND: This week I’m thinking about success; a nebulous concept that for millennia has eluded many. Last week, a friend asked me how I define “success” – not happiness, not satisfaction – simply success. This enigmatic question consumed a lengthy conversation that I believe worthwhile to revisit here. I believe success occurs in one of two ways: either you spend your days doing what your love or you craft a life where you subsidize – with money, creativity or effort – time for that which you love. 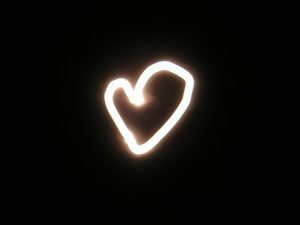 Furthermore, those we love and love us, are fundamental cornerstones of success. Our relationships with those we care about is absolutely critical: clichés like the influential who neglects loved ones is not success. Let’s take this first part: do what you love. I am reminded of Mark Twain’s words: “The secret of success is making your vocation your vacation.” This is the ultimate achievement and what I regard as success – no qualifiers needed. Unfortunately, this exists only in a minority of cases. If you are lucky to have this in your life – cherish, craft and confirm it because, “when love and skill work together, expect a masterpiece” (John Ruskin). 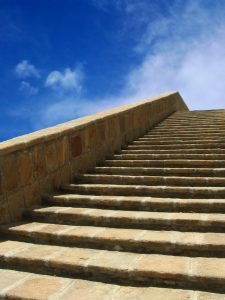 Now, success is filled with bumps, bruises and bile so never confound it with convenience, which actually tends to degrade your ability to grow. But, what happens when the above is not the case? In my opinion, the majority of people aren’t lucky enough to love their career or job. This is an unfair reality of civilization. 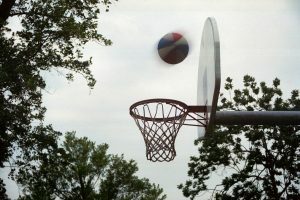 However, this is not a problem: what you then have to do – to achieve success – is develop a routine that allows you to constantly revisit that which you love. Dislike your job? No problem – this does not mean you can’t be successful. Find pockets of time, a circle of friends, actions and hobbies, a lover and family that bring you closer to success and that which you love. This could mean saving for a vacation, biking with a group of friends – it doesn’t matter – as long as you are on that byway which is intrinsically yours. As the quote above implies, success is singular to you! If you find yourself at odds with this goal, remember: “success is not final, failure is not fatal: it is the courage to continue that counts” (Winston Churchill). Continue to craft the life that finds in it your success. As you move forward, don’t feel that you have to adopt my definition in any way. But, realize that you need to define this term for yourself – this is essential if you are ever going to achieve success. MEDICINE & MACULA: In line with our discussion, let’s move over to the business literature. 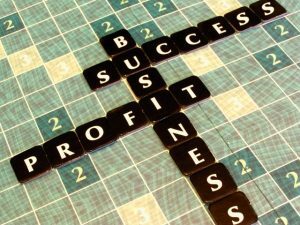 Here is a case study driving the point that if the sole purpose of your business or career is to make money, you’re destined for mediocrity. Change your story so that meaning is first priority and money second. Go out. Find success. Your Way. TASK AT HAND: This week I’m thinking about practice. We practice golf swings, practice speeches, practice free throws, practice how to be a better person. We practice work, tasks, and actions. We practice, practice, and practice. I’m a vitreoretinal surgeon and I work in a medical practice; I practice surgery, medicine, and how to restore vision. But what does all this practice get us? Entrenched in practice is the idea that repetition will allow you to achieve perfection, and therein lies the goal. This is incorrect! Practice does not make perfect, but rather only establishes permanence. This is the most common error I see in people who earnestly practice in the hope of trying to improve. Let’s disrupt this myth – practice only makes permanent – hard stop. Practicing something over and over only leads to the likelihood that you will repeat the action or reaction in that context. This is not erroneous, and is sometimes useful, but it lacks full realization. Permanency is static and not what you are trying to achieve – the whole point of practice is to transform the action in question. So, what is the first thing to do to improve how you practice? Break away from the desire to reach perfection and avoid the trap of permanence. So, then, how do you practice? Practice with purpose! Establish the purpose of your action. You must find the purpose in what you’re trying to achieve. That is, you must decode the objective of your achievement. Be mindful of the task you are practicing. Engrossed in it, from all aspects of yourself, allows you to find the core purpose and unlocks your ability to transform. Practice with passion. As I said above, I work in a medical practice. I take care of patients and I practice my craft. If I pursue this with mindless application, I may become very good at satisfying procedures and protocols by repeating them over and over in an efficient manner. But when I find purpose, and couple this with passion to achieve my goal, I begin to evolve and transform my skills to achieve better results – to innovate and renew my skills for the betterment of my patients and myself. Aristotle stated, “We are what we repeatedly do. Excellence, therefore, is not an act but a habit.” So, next time you are refining what you do, remember practice only makes permanent – so practice with purpose and practice with passion – and transform to reach your peak. MEDICINE & MACULA: In line with our discussion on practice, a recent study entitled, Feasibility of Human Factors Immersive Simulation Training in Ophthalmology, looked at how human factors training can enhance team working and reduce error. This is used regularly in certain medical disciplines, but its use has not been established for ophthalmology. The study found that human factors simulation in ophthalmology offers a new method of teaching team members, with the potential to reduce serious ophthalmic patient safety events. In this I see another example of practicing with purpose, driven by passion, as a means to find innovative methods and improve outcomes. 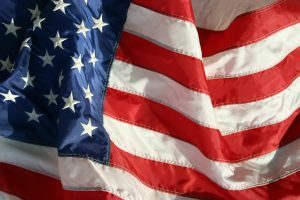 GRATIS: Tomorrow is Independence Day and I hope you have a wonderful celebration. I was born in Portugal, grew up in Canada, lived in Europe, and now I am privileged and grateful to call the United States home. Happy 4th of July! “I have a theory that burnout is about resentment. And you beat it by knowing what it is you’re giving up.” Marissa Mayer, Chief Executive Officer, Yahoo! TASK AT HAND: This week I’m thinking about burnout. I’ve received a lot of emails about this recently and, when you consider the most recent data, US worker burnout rates are as high as 45%. So, let’s define burnout, uncover what makes you susceptible to burnout, and – most importantly – how you can avoid it. What is burnout? This is a difficult concept to grasp and ranges from excessive work load to erosion of motivation and worth from one’s occupation. Personally, I believe that burnout goes beyond work load and is actually based on a balance between drive and work load; specifically, when work load is greater than your drive or motivation to complete it, you get into burnout territory. Burnout is a chronic condition and should not be equated with acute stress. Acute stress can be an excellent driving force but, if excessive and prolonged, can lead to burnout. As balance is lost, more work piles up, and motivation dips further. The cycle of burnout quickly gets out of control and resentment becomes a dominant sentiment. This resentment hinders both personal satisfaction and meaningful relationships. What makes you susceptible to burnout? I have found there are two key characteristics that increase your likelihood of burnout. First, if you are the person that says “yes” to every request – be careful! Now, please realize, I am this type of person: I want to say yes to every request but, this is not a sustainable strategy! Start saying no and you will see how liberating it is. Every time you say yes to a task you are saying no to everything else: to time with family, to time with friends, to time with activities that renew you. David Allen wrote, “Much of the stress that people feel doesn’t come from having too much to do. It comes from not finishing what they’ve started.” If you say yes to every request, you will start having difficulty finishing it all. Second, isolation is a major risk factor for burn out. Isolated individuals are more likely to get caught in the cycle of dipping motivation and increased workloads because they lack positive external forces to help identify this. So, what can you do to minimize burnout? Once again, I must emphasize that stress is not burnout; stress is acute and usually for a short period while burnout is a prolonged chronic condition. For stress, I really like Lee Iacocca’s advice: “In times of great stress or adversity, it’s always best to keep busy, to plow your anger and your energy into something positive.” However, if the stress is endless and burnout has started – mostly because your motivation and drive are fading – you need to change your strategy. This is where I really like the Mayer quote: always know what you are giving up! This way, you will learn to say no and remain focused on your priorities and principals. Finally, meaningful activities and relationships are paramount. Do not isolate yourself from loved ones, friends, or new experiences. Renew your motivation hourly and realign your focus constantly! MEDICINE & MACULA: Interesting study in the journal Eye on patient perspectives in the delivery of treatment for neovascular age-related macular degeneration. Survey of 87 patients found the most important factor to patients was: (1) having good vision, (2) one-stop service, and (3) less frequent follow up. The least important factors were label status of the drug, cost to the health service, and grade of the injector. Drives home what I see in clinic every day: patients want to preserve the best possible vision in the most convenient manner. 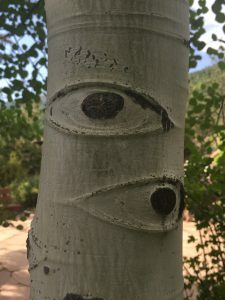 GRATIS: I attended the WAVE Ocular Imaging Conference this week (June 22-25) in beautiful Vail, Colorado. It was a wonderful meeting delving deep into complex and challenging vitreoretinal topics. 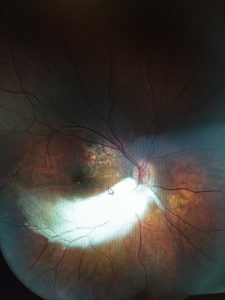 I presented, Surgical Techniques and Outcomes for Retinal Detachment Secondary to Viral Retinitis (below is a preoperative and postoperative photo of one of the patients), and grateful to my colleagues for the fantastic discussion. 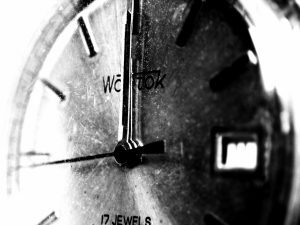 TASK AT HAND: This week I’m thinking about time. Specifically, how to decide on timing for optimal execution of strategy; in other words, what is the right time for a given action? You can decipher how much time exists by deconstructing this strategic element of decision making into 3 scenarios. 1) Defined time period. This is the easy one and applies to a large share of your strategic decision making. This applies to scenarios where you have a defined timeline (e.g., decision is due in 10 days). In these instances, it is best to allocate the minimum resources to achieve the goal within that time frame. Use the time you have! 2) Undefined time period. Now it’s getting harder… With an undefined time period, you have time competition. With no known timeline, you have to allocate resources in a judicial manner to achieve your desired outcome with external time competition present. In these cases, you almost always gain an edge by executing promptly! This is more significant if you are in a novel market with possibility for a first-mover advantage – the advantage gained by the initial occupant of a market segment. If you have the possibility for technological leadership, you need to move fast! 3) Asymmetric time period. This is the most complex situation and relates to decisions with external competition as well as internal factors; it also most analogous to surgery where – at any time – there can be total destabilization forces (complications). In these instances, decision analysis has to find the “window of minimal conflict” which designates the optimal timing for execution. For example, cataract (clouding of the natural eye lens) extraction was initially performed as “couching” where a needle was use to push the lens out of the visual axis into the back part of the eye. As you can imagine, this provides terrible visual results and was riddled with complications. This technique operated within a window of maximal conflict: you perforated the eye without a proper wound, you did not control the inflammation, and you failed to replace the refractive element of the eye. Instead, modern cataract surgery relies on proper wound construction, excellent visualization, etc. to find the right time to remove the cloudy cataract – using minimal ultrasonic energy within a stable eye – at a time of minimal conflict to achieve the best possible outcomes. There is another benefit to operating within a window of minimal conflict. 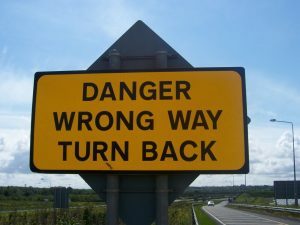 If you happen to execute the wrong decision, damage limitation and error correction are simpler. Contrastingly, high stakes – or decisions made within windows of maximum conflict – requires you to take on excess risk and need to be carefully leveraged. Next time you have a decision, deconstruct and decipher the time window you are operating in; then, execute the right way at the right time! 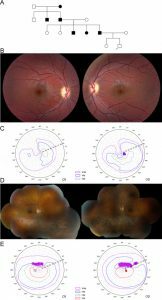 MEDICINE & MACULA: Our new case, Distinguishing optic pathway glioma and retinitis pigmentosa with visual field testing, reviews the challenging issue of visual field defects in retinitis pigmentosa (an inherited retinal disease) and optic glioma (a brain cancer). It was published in Canadian Journal of Ophthalmology (Volume 51, Issue 3). Check out the study here. GRATIS: Happy Father’s Day to all those who have served, and continue to serve, as role models and teachers. Thank you! Task at hand: This week I’m thinking about the concept of cognitive burden. We know from cognitive psychology that cognitive load refers to the total amount of mental effort being used in the working memory. 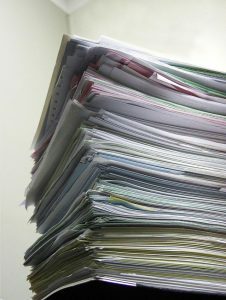 Cognitive burden can be thought of as an excess load on our mental effort – I attribute this undue burden to mostly meaningless or inconsequential items. We all want the personal freedom to choose: to choose a place to call home, to choose a partner, to choose a career. However, do we want to make every possible decision and have every choice? Personally, I don’t want to have to choose when to breathe, when to take the next walking step. Do we want to burden ourselves with the construct of every action? Yet, our lives are increasingly filled with inconsequential decisions – from cell phone plans to social media posts – it’s easy to lose clarity. Thus, we arrive at the point of today’s scrub: remain focused on what is important to you and minimize cognitive burden. There are two main strategies I use for this. The first one applies to extrinsic inconsequential items. You have to strip these decisions away. Einstein had multiples of the same suit and shirt so he never wasted any time on this trivial matter. He was right – you shouldn’t waste any of your mental energy on this! I’m a believer of the morning routine: wake up, exercise, nutrition and don’t burden your brain until executive functions are actually required. For these inconsequential items, try to create as many possible routines as possible. I really don’t want to use any of my processing power for these mundane musings; I want to save them for creativity and problem solving. The second item is related to intrinsic cognitive burden. This is a major component, and the one I find hardest to minimize. First, you have to realize that there are two parts to your being: a physical part that executes movements and actions and a cerebral part that perceives and processes. Unfortunately, these two seem to be in constant battle with each other. Your cerebral part is constantly burdening you – the voice ruminating and contemplating – eliminate it so that it does not undermine what you desire. Minimize your cognitive burden – both the extrinsic inconsequential happenings and the intrinsic personal trappings – so that in clarity you can fulfill your potential. Medicine & Macula: Interesting article in JAMA on the resurgence of syphilis in the United States. Syphilis is caused by infection with the Treponema pallidum pathogen and can cause a myriad of systemic and ocular manifestations. While there were fewer than 4 cases per 100 000 by the year 2000, this has been increasing every year since that historic low. The task force finds that there is net benefit of screening for syphilis infection in nonpregnant persons who are at increased risk for infection. Screening allows for identification of infected individuals which can then be treated. Treatment of early syphilis with single-dose intramuscular administration of penicillin G is highly effective and has the advantage of assured adherence and can prevent significant morbidity of untreated disease. After seeing multiple patients this week with syphilis, I am reminded of the need to increase awareness of this great masquerade! US Preventive Services Task Force. Screening for syphilis infection in nonpregnant adults and adolescents: US Preventive Services Task Force Recommendation Statement. JAMA. doi:10.1001/jama.2016.5824. Gratis: Check out Timothy Gallwey’s The Inner Game of Tennis: The Classic Guide to the Mental Side of Peak Performance (where the opening quote comes from). This book is about much more than tennis and is a wonderful short read on cognitive clarity and enhancing your ability to reach your potential in any situation. Task at hand: This week I’m once again thinking about decision making; specifically, decision analysis and how to achieve success in your decision making process. As you know, I like to borrow from the spheres of medicine, science and business when constructing my models and frameworks. When diagnosing a patient, physicians will investigate “associated factors” – what are the related symptoms, history, or other issues that may be contributing to the suspected underlying diagnosis? Similarly, when looking at the decision or conflict at hand, spend some time deciphering the associated factors. These are always pertinent to the outcome you are trying to achieve. Let me use a simplified example for you here. With spring in full swing, let’s say you are trying to decide on a particular plant for your garden. Our simplified desired successful outcome of this decision is to pick a plant that will not only grow – but thrive – through the seasons. 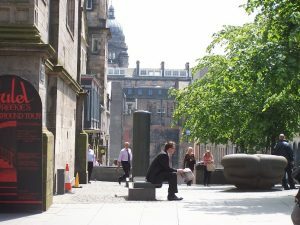 Consequently, we can quickly deduce that the “associated factors” will include environment (weather, rain, soil quality), resource availability (how much time do you have to tend to the plant, what is your budget for seed), and appearance (do you want a pretty flower or a unique plant). The best method I have found to uncover the associated factors of a particular decision is through visualization. The concept of “visualization” is common ranging from sports to cognitive-behavioral therapy. Here, I am ascribing visualization as an act to appreciate all the forces acting on your decision. I’m always surprised at how much I uncover through this process and realize that our decisions are heavily indebted to a lot of extraneous influences: it is usually not possible to remove these factors so one would be wise to figure them out! I actually use a lot of visualization in surgery as well – many times, the surgeon’s view is compromised secondary to many possible factors. In these challenging instances, my visualization of the problem at hand and the role of my immediate environment allow me to continue without being deviated in a negative manner. So, next time you are pondering a difficult conflict – visualize the relevant associated factors – and give yourself some clarity on your way to success! Medicine & Macula: The first US universal newborn ocular screening initiative was recently published in the journal Ophthalmology. It showed that fundus hemorrhages are common in healthy newborns, especially in those born by vaginal delivery (9 times more likely) and in forceps assisted delivery. 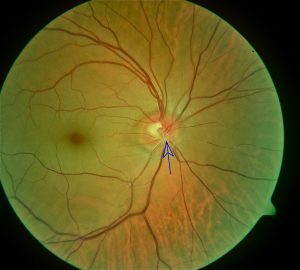 While the long-term consequences of retinal hemorrhages on visual development remain unknown, it is important to have empirical knowledge that these are common. The issue of child abuse and shaken baby syndrome are a natural extension of this topic, and key points of differentiation (vitreous hemorrhage, retinal hemorrhages in multiple layers, traumatic retinoschisis) in the latter need to be emphasized. Gratis: Thanks to American Journal of Ophthalmology Case Reports for recently publishing our study on Delayed fungal endophthalmitis secondary to Curvularia.